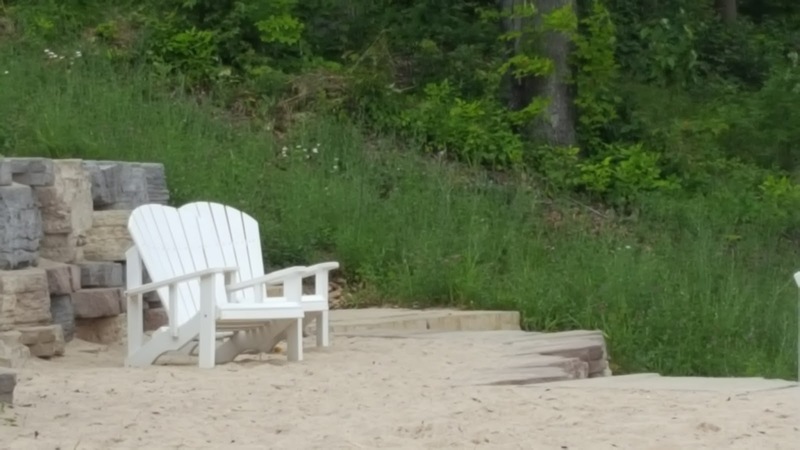 One week of every summer deposits our family in the heart of Michigan's up north beauty. My husband speaks for one of the programs at Lake Ann Camp and I spend the week with no agenda, breathing deeply and soaking up beauty. Each day, my walks from our cabin to the dining hall take me past a lone picnic table in an out of the way location. With only the wind in the trees and scampering squirrels to interrupt my thoughts I find my mind wandering over the past 20 years of summertime memories I've collected here. That picnic table played host to a couple serious and emotional conversations with one of our students. The discussion pushed me as I tried to offer equal doses of grace and truth. 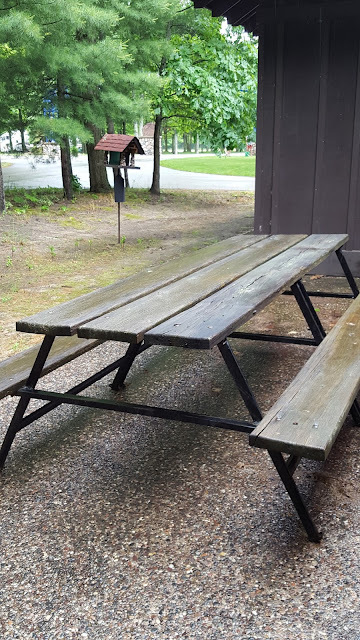 I have similar precious memories of a park bench in Brazil, a campground trail in New York, the front seat of our car, the backyard hammock, a conference center back hallway, a paddle boat in the middle of a lake, the darkness of the bunk room after lights out and around campfire in Canada. Big moments so often happen out of small moments. Alot of times they magically materialize out of empty, unhurried space. Sometimes they are helped along by the right question spoken by a safe person who has time to wait for the real answer. When it happens, and someone trusts you with an unfettered view of their soul, time freezes and you remember those big moments. The ordinary places become sacred. Right now I have the lake breeze blowing over me and a couple chairs to my left that bring back another big moment memory. I sat in this very spot two summers ago as the breeze carried snatches of a big moment conversation happening in those two chairs near by. A camper and counselor were in the middle of a relaxed, yet serious discussion - what Lake Ann calls "one on one" time. The counselor listened as the boy slowly and quietly unloaded some of the heaviness in his heart. With few but rich words, his counselor offered him hope. My heart swelled as I listened because the counselor was my son. Summer is a great time to collect moments with the people you love and turn ordinary places into sacred ones. Breathe deeply, spend the time it takes to be safe, be willing to ask the question that begs asking. Who knows what ordinary, sacred places we can add to our collection this year.